Strong flavours and aromas are matched with vibrant colours and proven fish-catching ingredients. 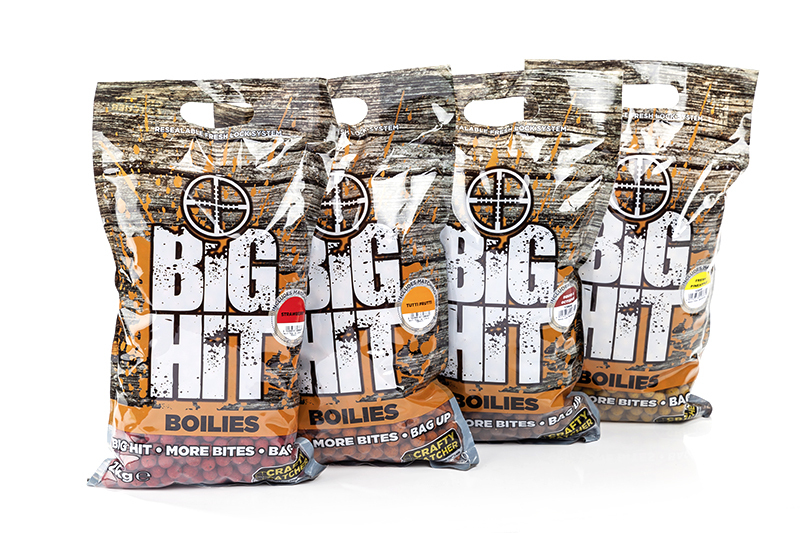 The boilies, in re-sealable 1kg bags, come with a free matching bag of pop-ups. Right now try the aromatic Spicy Krill and Garlic flavour.